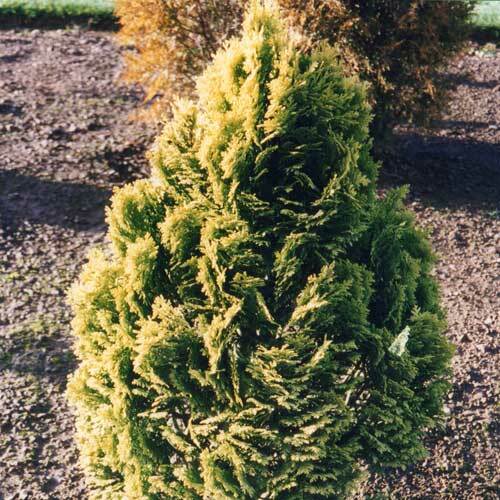 Dwarf Conifers (D) Up to 90cms wide or high in 10 years. 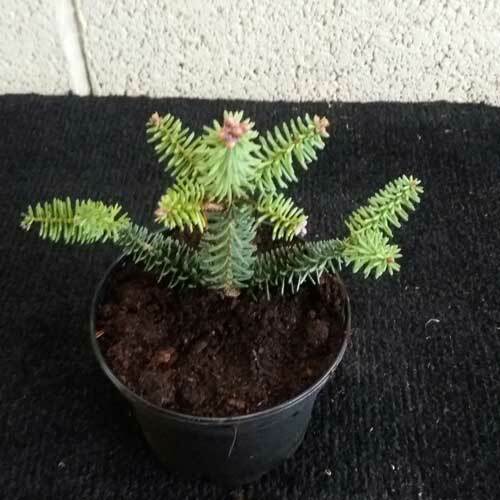 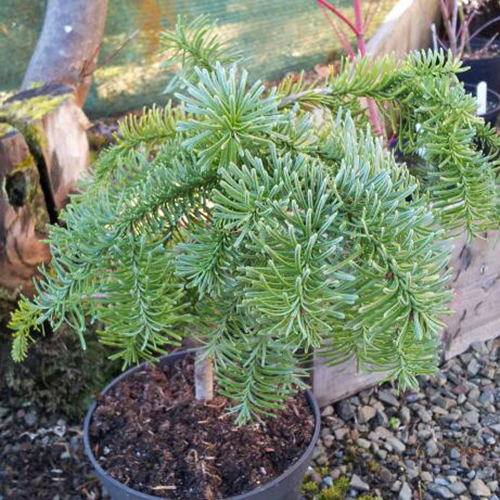 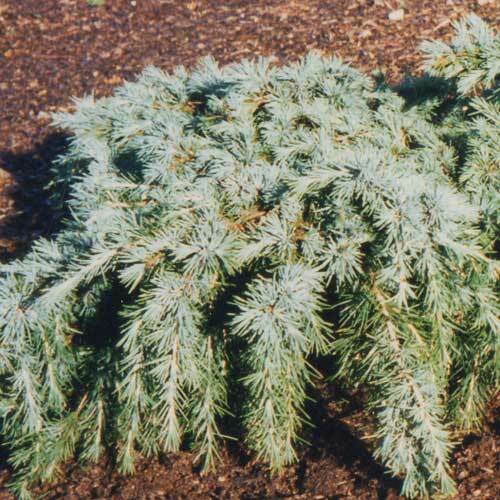 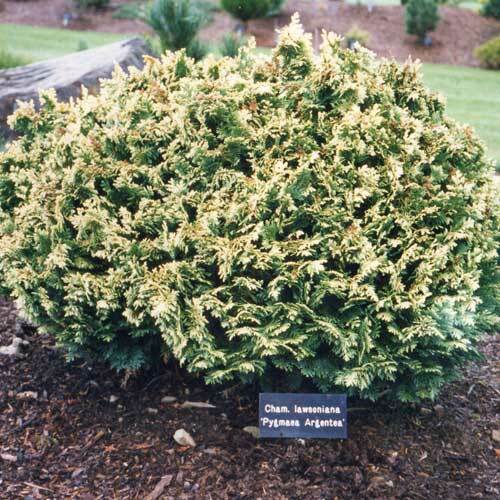 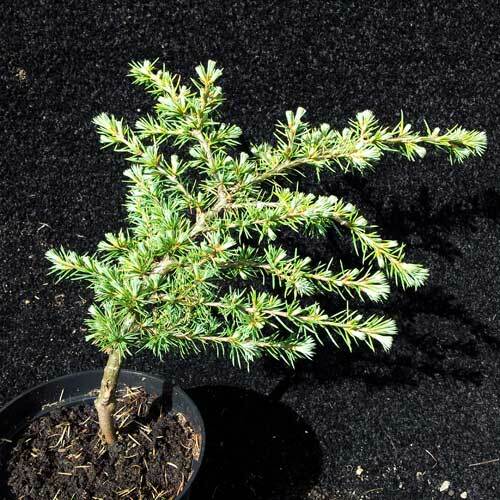 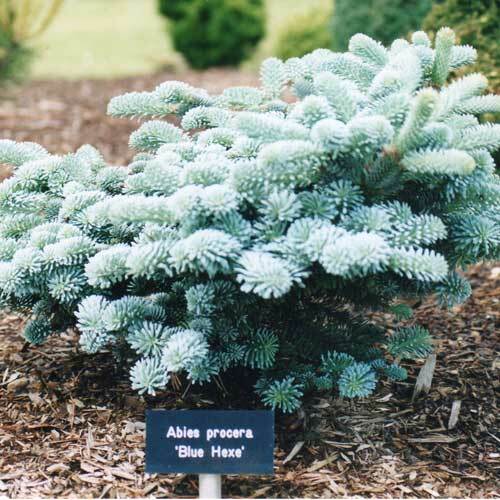 Dwarf conifers originated as dwarf seedlings or mutations found on species trees. 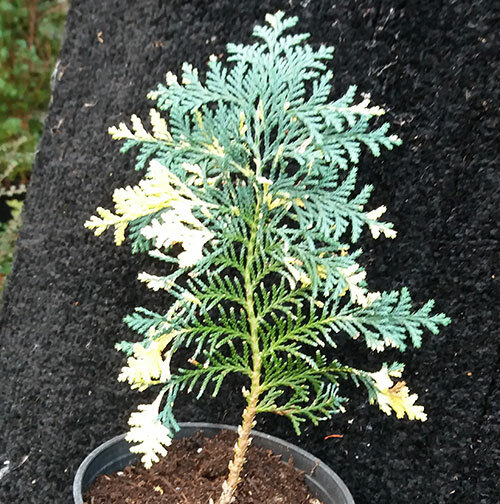 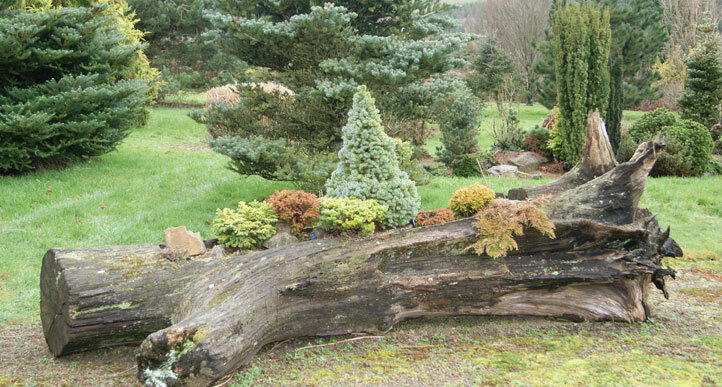 Many of these seedlings or mutations have retained their dwarfness, shapes and colours and today make up the range of plants known as dwarf conifers. 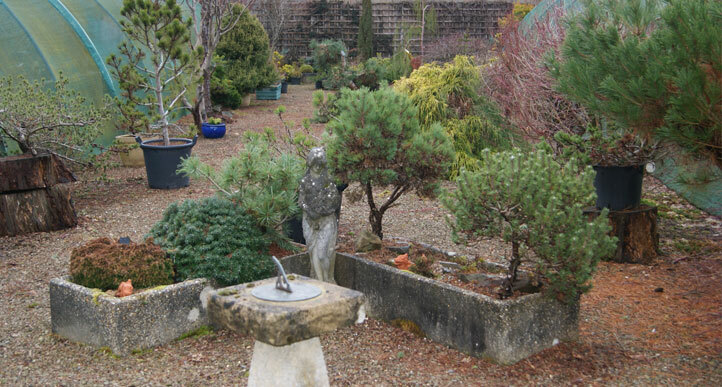 They have the ability to give substance and form to landscaping in the garden as well as looking good in pots or troughs. 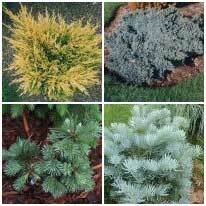 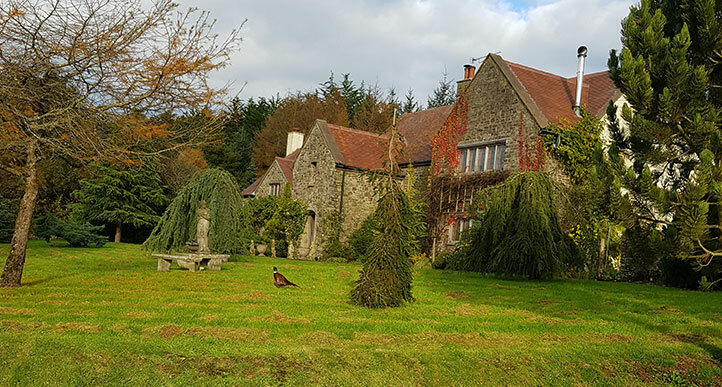 Apart from a few species such as larches they retain their foliage all the year round giving colour changes in winter and at times colour is heightened by cold weather.